Former fellow Jan Papy (2008/09), Professor of Latin Literature & Neo-Latin Studies from the KU Leuven, was awarded the Year Price 2018 for Science Communication. With this prize, the Royal Belgian Academy of Sciences and Arts wants to express its appreciation of his exhibition on Erasmus. 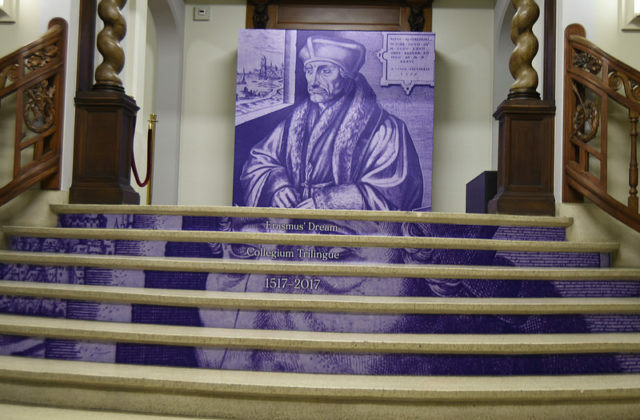 Erasmus’ Dream: The Louvain Collegium Trilingue 1517-1797 was held in the University Library Leuven (18 October 2017 – 18 January 2018), and later moved to Arlon (Musée Gaspard) and the Université Catholique de Louvain-la- Neuve. The exhibitions were a great success and attracted ca. 10.000 visitors.